We're hitting the road an awful lot this summer and visiting festival all over the state! Here's a quick preview of what to expect, see you ou there! Take your taste buds on an unforgettable journey as you are introduced to over 60 NY State craft beverage producers and food vendors…all with the beauty of Lake George as your backdrop! The Festival will showcase some of the best wineries, breweries, distilleries, artisanal food vendors, local crafts and food trucks the region has to offer! And you won’t want to miss awesome food demonstrations from the SUNY Adirondack Culinary Program! Admission includes a commemorative wine glass to be used throughout the event to sample craft beverages, and, as a designated NY Farmer’s Market, the Festival offers the perfect opportunity to try before you buy. Whether it’s your new favorite wine, cheese, or chocolate fudge…each vendor will have their products available for you to purchase and take home with you! Pre-sale tickets are still available...buy ahead and save $10! Join us and wineries from across the state at the first annual Herkimer Wine Festival! Enjoy wine samples, music, free Paint & Sip sessions and more! Join us at the 20th Anniversary Finger Lakes Wine Festival and treat yourself to the largest showcase of wines produced in New York State, with over 80 wineries paired with regional artisans, live music, culinary classes and cooking demonstrations. Join us for an evening of wine & food on the waterfront to benefit the Lions Club! We'll be sampling & selling a variety of our award winning wines and admission is only $25 – all for a great cause! 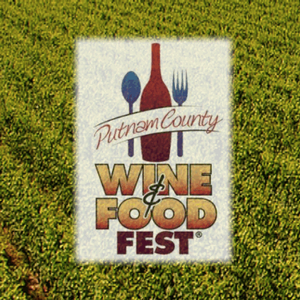 The Putnam County Wine & Food Fest showcases New York’s renowned wine, ale and spirit producers, with a beer garden, food, arts and crafts, as well as local and international artists. Hosted each year at one of New York’s largest fairgrounds, The Altamont Fair is designed to bring out the best in entertainment, provide an education experience, and showcase traditions and history of Albany, Schenectady and Greene Counties. 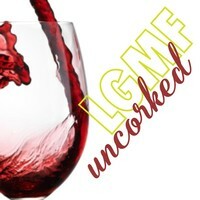 Relax and enjoy a candle-lit evening out listening to exceptional concert music, sipping fine wines from the Adirondack Winery, and sampling gourmet cheeses and a Tapas menu. Set at the stunningly beautiful and historic Lake George Club, explore the similarities between classical music and fine food and drink through this uniquely curated Lake George Music Festival event.